Acclaimed composer and arranger Stacey V. Gibbs has created a new work for Missouri Southern that will be debuted during the Spring Choral Concert at 7:30 p.m. Thursday, April 12, at St. Mary’s Catholic Church, 3035 S. Central City Road. 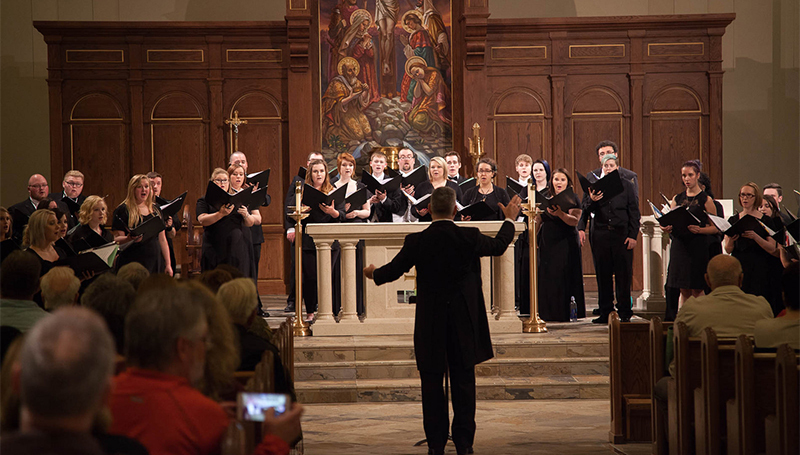 The concert will feature performances by the Missouri Southern Chamber Singers, the Madrigal Singers, and the Missouri Southern Concert Chorale. The performance will include the debut of Gibbs’ “Love is the Key.” Best known for his arrangements of spirituals, his works have been performed by ensembles around the country and internationally. Also conducting during the performance will be Courtney Wright, with Glenda Austin accompanying on piano.